Mostly cloudy skies early, then partly cloudy in the afternoon. High around 65F. Winds S at 5 to 10 mph.. Partly cloudy skies during the evening will give way to cloudy skies overnight. Low near 55F. Winds SSE at 5 to 10 mph. 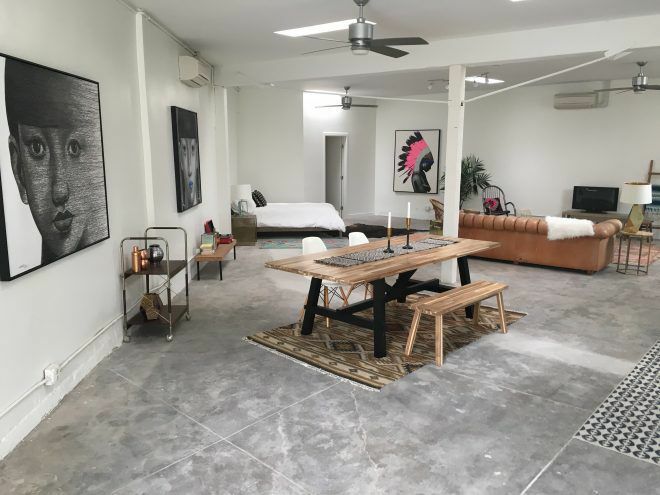 The Coronado Real Estate Group is pleased to present for sale a DTLA loft-style studio in the epicenter of Highland Park! Fantastic opportunity to purchase a 1,200+ SF commercial studio that has been renovated into the ideal live/work space with stylish design and new kitchen and bathroom. Plus, because it is zoned R2, residential financing is available for owner-users. Perfect for photographers, artists, musicians, clothing designers and more! There is even excellent signage opportunity! 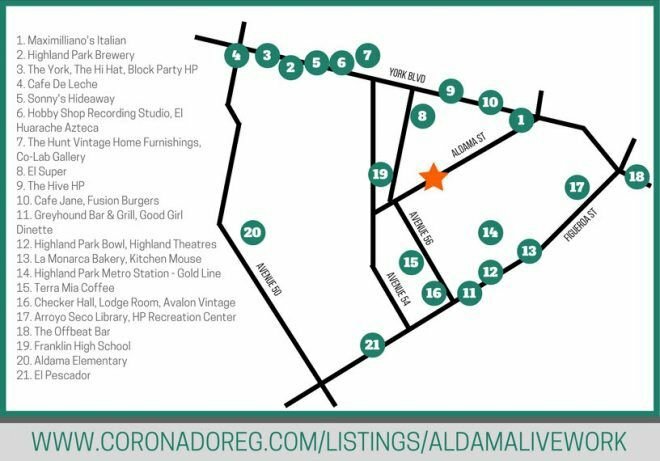 Located in prime Highland Park between York and Figueroa, this is a truly unique opportunity for a buyer looking for an industrial loft in a great neighborhood close to many local hotspots and amenities.